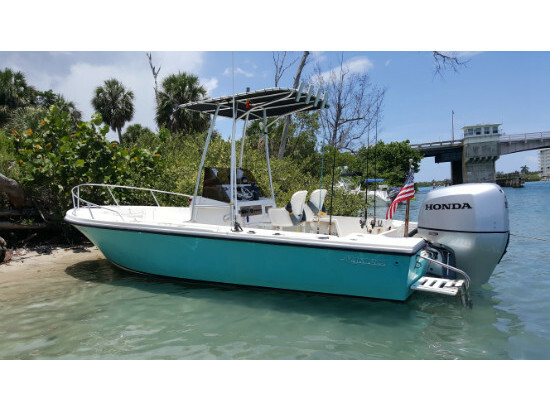 1984 Mako 20C Classic 1984 Mako 20' Center Console repowered with a 1999 Johnson 175 Ocean Pro 2 stroke outboard. Newer gelcoat, bottom paint, rub rail & upholstery & has been well maintained. She's a 9/10 cosmetically & needs NOTHING mechanically. Older Mako's are well known for their solid construction & ride quality. She's quite roomy considering a LOA of only 20', has plenty of storage space & is perfect for flats & near shore fishing drafting only 9" while maintaining higher freeboard & rough water capability. The boat is turn key & read to fish or hit the sand bar!